Premium Remanufactured Navistar G2.9 Fuel Injectors. These are fully disassembled and precision cleaned. Components are re-certified to OE specifications. Every injector is assembled with New Coils, New Connectors and a New Nozzle to ensure the highest quality and reliability. 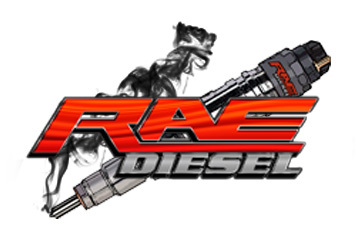 Every injector is tested to ensure fuel flow meets precise specifications on the latest equipment in the aftermarket. The purchase price of this fuel injector DOES NOT include the $225 core deposit. We provide a FREE pre-paid return shipping label and give you 30 Days to send your old part (core) back to us. If the part is not returned within the 30 day period you will be contacted and charged the price for the cores. If the cores are received after the charge, you will be refunded the amount due. We highly recommend the Navistar Oil Rail Seal Kit when replacing injectors. Replace oil rail seals and back up rings included in the Oil Rail Seal Kit (sold separately). Follow kit instructions to select correct size. Thoroughly clean and inspect injector cups. Verify combustion seals are installed on new injectors and the old combustion seals were removed with previous injectors. Flush and inspect fuel supply system. Verify cleanliness and quality of fuel. Replace fuel filter. Clean and inspect oil supply system. Replace engine oil and filter. Lubricate Injector O-rings with clean engine oil. Blow out oil from threaded holes prior to installing injector hold down bolts. Verify correct fuel pressure after injector installation. Valve Cover Gasket replacement is recommended. The valve cover gasket has integrated circuits for injectors and ICP sensor, and failures from “Oil Wicking” are common.Injector circuit codes and misfires under load are commonly caused by poor connections at the valve cover gasket. Use the latest design with improved electrical locks to avoid this issue.